If you can get over the wagon stigma, the 2013 CTS Sport Wagon really is the best choice in the range, with better rear-seat access, more useful space, and all the same luxury, performance and looks as the sedan and coupe. Strikingly handsome, fun to drive, well-built, and competitive on pricing and features, the 2013 Cadillac CTS continues the brand's good reputation. With the new 2013 Cadillac XTS and ATS joining the fold this year, the 2013 Cadillac CTS may no longer stand as Cadillac's primary entry into the true world-class luxury sedan, wagon, and coupe ranks. Despite these newcomers, and though it's essentially unchanged from the 2012 model year, the 2013 CTS remains the heart of Cadillac's sales and reputation. Having evolved greatly, but along carefully laid lines, from its first-generation form, the current Cadillac CTS wears a dramatic, sharp-edged exterior. Classy and confident, the evolution of Art & Science design presents itself in blade-like fenders, upswept headlamps, and tapering, V-shaped ends. 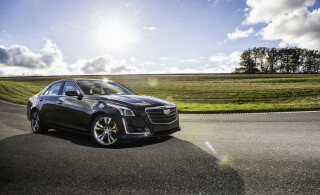 Available in coupe, sedan, and wagon styles, the CTS is uniformly attractive and modern-looking, with each model cutting its own swath. Inside, the look is perhaps less cohesive, with some button clutter on the center control stack and more chrome--more attitude--than you'd find in a comparable German car. The materials, finishes, and fit are all very good, however, and the overall look is distinctly American: just slightly brash, but still refined. Two engines are available through the range. The point of entry is a 3.0-liter V-6 engine rated at 270 horsepower and 223 pound-feet of torque. 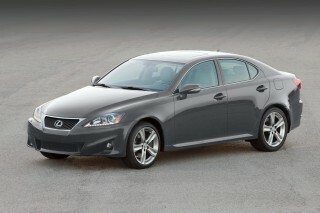 It's paired with either a six-speed manual transmission or a six-speed automatic. Rear-wheel drive is standard, with available all-wheel drive, though all-wheel drive models are only available in combination with the automatic. The more power 3.6-liter V-6 engine in higher-trim models is rated at 318 hp and 275 lb-ft of torque, paired with the same transmissions as the 3.0-liter, and also available in rear- or all-wheel drive. 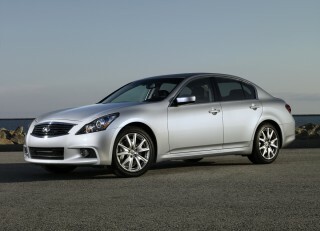 The Coupe is only available with the 3.6-liter engine, skipping the less potent 3.0-liter. On the road, the 2013 Cadillac CTS exhibits a solid, stable feel, peppy acceleration, and very comfortable ride quality. The Sedan and Sport Wagon in particular handle broken pavement well, while the Coupe feels more taut. Handling and steering are almost perfectly on point for the segment, offering enjoyment without any discomfort. Like other cars in the segment, however, the CTS could use a touch more elbow room. The cabin is comfortable, particularly the front seats, but on the whole, the feel is snug. The rear seats are somewhat tight in the sedan, and more difficult to access the low-roofed Coupe. The Sport Wagon alleviates some of this with longer rear doors. In all three, the sport seats are inferior in comfort the base seats, with a ridge of padding running down the middle of the back. Despite these minor quibbles with space and comfort, the overall look, feel, and accommodations are very nice. Base models come with a "leatherette" upholstery, but most models found on dealer lots will offer a supple and fine leather. Even base-model CTSs are loaded, with standard Bluetooth connectivity; power accessories; automatic dual-zone climate control; power driver seat; automatic headlmaps; and more. The Sport Wagon adds a standard power liftgate. And if the base spec isn't enough, there are the available upgrades, including: a panormaic sunroof; an easy-to-use, high-tech entertainment system with hard-drive storage; navigation with real-time traffic data; ventilated seats; and even a pet cover for the wagon's cargo area. Other options include 18- or 19-inch wheels, suspension packages, and a range of interior and exterior appearance tweaks. The 2013 Cadillac CTS continues to turn heads, even in a class filled with attractive cars. With minimal updates since 2011, the Cadillac CTS carries into the 2013 model year in familiar form, but despite the lack of changes, it continues its run as the best American player in the midsize luxury market. Available as a Sport Wagon, Coupe, or Sedan, the 2013 CTS wears sharp creases, angular surfaces, and a wide stance. The Sedan's wedge-shaped, truncated look is heightened in the Coupe, which also gets a wing-like rear trunklid tail light and slightly wider rear fenders. The chunky proportions at the rear of the Coupe make it instantly recognizable and somewhat controversial. The Sport Wagon extends the CTS rearward, giving it better proportions to some eyes, while still managing to look sporty and athletic despite its wagon form factor. Inside, the design of the CTS range is more uniform, with each getting the same essential V-shaped center panel stack, elegant cut-and-sew leather trim, and ample wood and chrome accents. The overall effect is one of luxury, but with a slightly in-your-face feel--it won't be to everyone's taste, but it will suit many better than the stolid, somber ethos of the Germans. Never truly quick, but always quick enough, engaging, and agile for its size, the 2013 Cadillac CTS won't disappoint. Two engines, two transmissions, and two drive types are available in the 2013 Cadillac CTS range, and while they vary in sport, they're all closely nested in gas mileage and refinement. 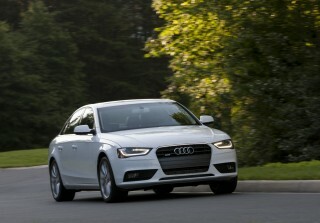 The Sedan and Sport Wagon are available with either a 3.0-liter, 270-horsepower V-6 or a 3.6-liter, 318-horsepower V-6. Either can be paired with a manual or automatic transmission, and rear- or all-wheel drive--though all-wheel drive models can only be had with the automatic, and the Sport Wagon isn't available in rear-drive. Both engines are will companions, but the 3.6-liter is the sweeter-sounding and more capable of the two, especially in the upper-third of the rev range. 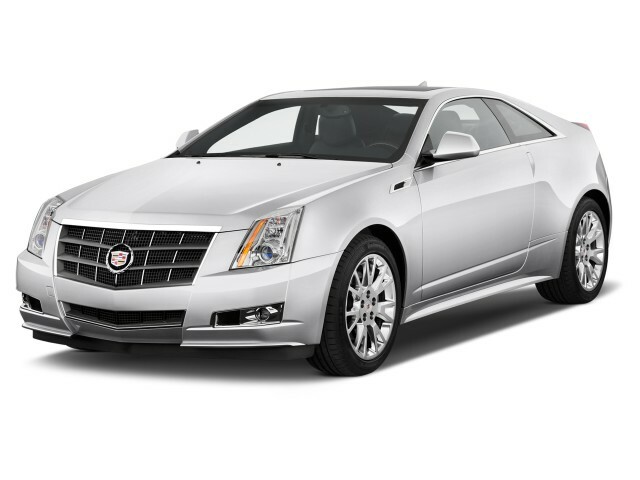 With the 3.6-liter engine, all three types of CTS are good for 0-60 mph runs in about seven seconds. The Coupe skips the smaller 3.0-liter engine in favor of the 3.6, but does offer both transmission and driveline choices. Beyond the specifics, however, all of the 2013 CTS variants are rather similar. 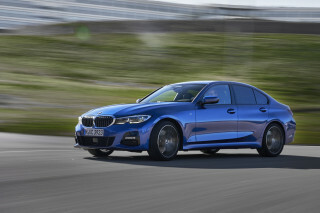 Cornering is fairly flat and very well-controlled, steering is responsive and well-weighted, and overall ride comfort is excellent--except, perhaps, for the Coupe, which can feel a bit choppy over rough surfaces. Both transmissions also excel at their tasks, with the manual providing slick, easy shifts, with a fair degree of precision and solidity. The automatic is smooth and easy-going in normal driving, but can keep up with the rest of the package admirably in sport mode, or when paddle-shifted by hand. Four different factory suspension setups are offered, depending on body type, engine choice, and equipment level, and while some a touch sharper than others (the FE3 package is a great compromise), all exhibit the core qualities of the CTS: a well-balanced, sporty feel with just the right mix of comfort and capability. The Performance Package brings the sharpest handling to the CTS, with Continental ContiSport Contact summer tires, improved cooling, and larger brakes. While the 2013 Cadillac CTS Sedan and Coupe can be tight inside, with imperfect front seats, the Sport Wagon's utility and comfort are spot-on. With excellent performance, dramatic styling, and overall very high build quality, the 2013 Cadillac CTS is almost the perfect package. We say almost, because there's one glaring shortcoming in some models: the front seats. While it's been improved since the second-generation CTS' debut, there's still a ridge running down the back of the standard bucket seats. The bottom cushions are a touch too hard and too flat, too, and with a sunroof-equipped car, there's precious little headroom for taller drivers. Even with these shortcomings however, the overall experience in the front of the cabin is a pleasant one--and available seat upgrades remedy the issues with comfort. The materials, fit, and finish of both upholstery and dash elements are very good. In the back seats, there's more room than you'd expect, as the CTS is a bit larger than the typical mid-size luxury sedan (i.e. 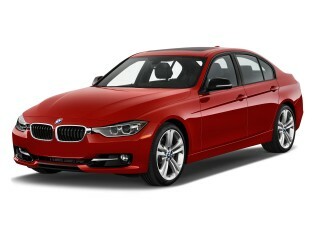 the BMW 3-Series or Audi A4). It's still tight on headroom, and taller passengers won't find much leg room either, but on the whole, it's impressively packaged. Even the Coupe offers about the same rear-seat space, though getting back there is tougher with just two doors, and the lower roof cuts into head room. The Sport Wagon's rear seats are the best of the group, with slightly longer rear doors improving access. On the cargo space front, the Sport Wagon walks away with the win among the CTS variants, with 25 cubic feet of space behind the rear seats, ballooning to 53.4 cubic feet with the rear seats folded flat--nearly crossover levels of space. A power liftgate makes accessing the cargo area a breeze, and a roof rack system lets you put bulkier items on top of the car. Hooks and tie-downs integrated into the floor ensure stable, secure transport of even delicate items. In the Sedan and Coupe, there's less space, though the Sedan's 14 cubic feet of trunk isn't bad. In both models, the rear seats are of the split-folding type, opening more room in a pinch. Cabin noise is low in all three models of the 2013 CTS, with neither wind, road, nor engine noise intruding unduly--though you'll hear the V-6's muted, throaty roar when you peg the throttle. Safety scores for the 2013 Cadillac CTS aren't in yet, but we expect it to continue to return top marks, but beware of the limited rearward visibility. The 2013 Cadillac CTS hasn't yet been crash-tested by the National Highway Traffic Safety Administration (NHTSA) or the Insurance Institute for Highway Safety (IIHS) yet, but the structurally identical 2012 Cadillac CTS won top marks from both agencies, including a Top Safety Pick from the IIHS for the Sedan. We expect the 2013 CTS to mirror these results. In addition to the strong structure, the CTS offers plenty of safety equipment, including: six airbags, traction and stability control; available all-wheel drive (standard on the SPort Wagon); available parking sensors; and an optional rearview backup camera. The one shortcoming of the CTS, particularly the Coupe, is rearward visibility, which can be compromised due to the chunky rear roof pillars. The Sedan is the least compromised in this respect. The 2013 Cadillac CTS packs plenty of audio, navigation, comfort, and style options to compete with, and even sometimes beat, the best in class--but you'll want to upgrade from the base upholstery. Essentially identical to the 2012 CTS, which was itself little changed from the 2011 model, the 2013 CTS nevertheless keeps pace with the luxury mid-size pack on technology and features, with some options that will impress--though you'll pay for the privilege. Base models offer cruise control; Bluetooth connectivity; automatic dual-zone climate control; a power-adjust driver's seat; AM/FM/CD/XM audio with auxiliary input; automatic headlights; and one year of OnStar turn-by-turn directions, plus more. A range of trim lines, including Luxury, Performance, and Premium, bring pre-packaged sets of features, including Bose 10-speakers surround sound, an "UltraView" panoramic sunroof, pop-up navigation system, leather upholstery, remote start, upgraded wood trim, and much more. The one caveat with the feature-rich CTS line: the very reasonable $35,915 start price can quick rise north of $50,000 in well-equipped Premium models. Compared to the latest from other brands in class, the 2013 Cadillac CTS V-6 engine lineup isn't as green as it could be. While the 2013 Cadillac CTS manages to keep pace on performance, looks, and features, it's beginning to show its age in relation to the newest additions to the mid-size luxury fold from BMW and Mercedes in gas mileage. Without a fuel-sipping turbocharged four-cylinder, the CTS gets only middling fuel economy from its pair of V-6s: the 3.0-liter engine yields 18/27 mpg city/highway in rear-drive cars with automatic transmission, while the manual slashes that to 16/26 mpg. Somewhat unexpectedly, the larger 3.6-liter V-6 gets better fuel economy than the 3.0-liter when all-wheel drive enters the picture, scoring 18/27 mpg to the smaller engine's 18/26 mpg. The Sport Wagon, with standard all-wheel drive and automatic transmission, gets 18/27 mpg with the 3.0-liter and 18/26 mpg with the 3.6-liter. excellent automobile that has a great ride and comfort. The CTS Wagon is the best all purpose car I have ever owned and as a daily driver cannot be topped. The Cadillac should take to heart their advertising campaign theme of Dare Greatly and once again produce the "long roof" version of their Cadillac CTS which was discontinued in 2014. The new 2016 CTS is a... The Cadillac should take to heart their advertising campaign theme of Dare Greatly and once again produce the "long roof" version of their Cadillac CTS which was discontinued in 2014. The new 2016 CTS is a beautiful example of style, comfort and luxury. When all of those superlatives are combined with the potent 500+HP "V" option it i a package that is hard to beat and tops its competition of the Mercedes AMG and the BMW 5 series. The fact that Cadillac does not produce a station wagon version while their competition does makes one wonder just how greatly Cadillac is willing to dare. True the station wagon is not a huge seller and appeals to a a very select and say automobile enthusiast; where does an enthusiast who has several sports cars in their stable turn for a superlative daily driver - especially if they appreciate styling and do not favor the bulky and clumsy styling of the popular SUVs. In short the CTS wagon is nearly impossibly to beat as a daily driver and grocery getter. Bought this car with 18,000 miles on it. I couldn't be happier. The styling is sharp, the ride is firm without being harsh, and the 3.6L engine has plenty of power for everyday city driving.